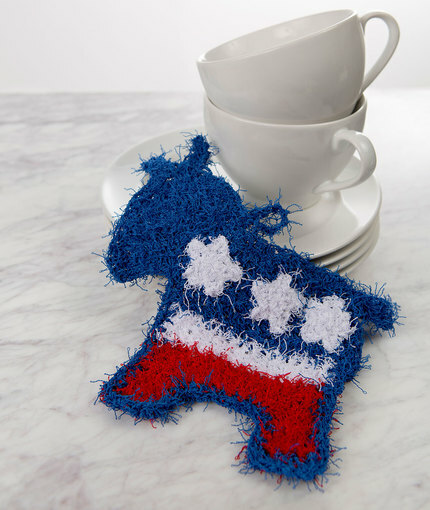 Enjoy showing your party affiliation with this clever donkey scrubby! This crochet design features true patriotic American colors. 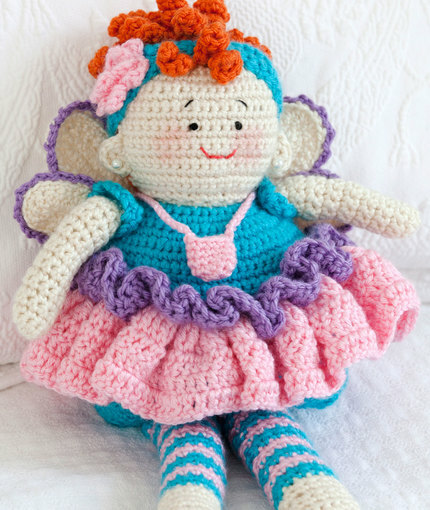 Scrubby measures 7” (18 cm) from back to head x 6½” (16.5 cm) long. 1. To change color, work last stitch of old color to last yarn over. Yarn over with new color and draw through all loops on hook to complete stitch. Proceed with new color. Cut old color. 2. You may prefer to work over tails to minimize weaving in ends. 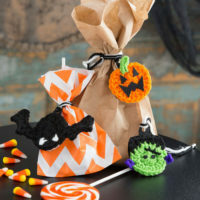 Join with sc = Place a slip knot on hook, insert hook in indicated stitch, yarn over and pull up a loop, yarn over and draw through both loops on hook. Row 1 (wrong side): Sc in 2nd ch from hook and in each ch across, turn—3 sc. Rows 2–4: Ch 1, 2 sc in first st, sc in each st across to last st, 2 sc in last st, turn—9 sc. Row 5: Ch 1, sc in each st across, turn. Row 7: Ch 1, sc in each st across to last st, 2 sc in last st, turn—10 sc. Row 8: Ch 1, 2 sc in first st, sc in each remaining st, turn—11 sc. Rows 9 and 10: Repeat Rows 7 and 8—13 sc. Place marker on 6th st for edge of neck. Row 11: Ch 12, sc in 2nd ch from hook and in next 9 ch, 2 sc in last ch; leave remaining sts unworked, turn—12 sc. Row 12: Repeat Row 8—13 sc. Rows 13 and 14: Repeat Rows 7 and 8—15 sc. Rows 15–19: Repeat Row 5; change to B at end of Row 19. Place marker on end of Row 17. Rows 20–23: Repeat Row 5; change to C at end of Row 23. Rows 24–27: Repeat Row 5. Do not fasten off. Row 1: Ch 1, sc in first 4 sts; leave remaining sts unworked, turn—4 sc. Rows 2–4: Repeat Row 5. Row 1: With wrong side of body facing, skip first 7 unworked sts, join C with sc in next st, sc in last 3 sts, turn—4 sc. Holding marked sts together, sew neck seam to tilt head. each remaining st and end of row around, working 3 sc in outer corners of legs; join with slip st in first slip st. Fasten off. Round 1: Work 5 sc in 2nd ch from hook, do not join—5 sc. Round 2: *Slip st in next sc, ch 2, sc in 2nd ch from hook; repeat from * 4 times, join with slip st in first slip st. Fasten off. With sewing needle and white thread, sew stars in place on Upper Body.